Fancy Yellow and Pink Diamond Ring. 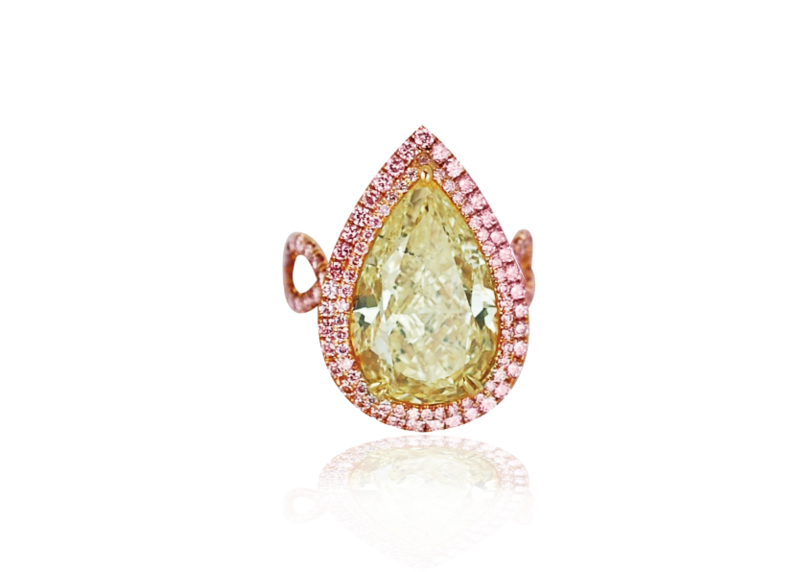 11 Carat Yellow Pear Shaped Diamond Ring With Pink Diamond Halo . This ring has a center diamond which has an amazing cut and color making the diamond seem endless when staring into it. The center diamond is complemented by the best of fancy pink diamonds which are some of the rarest diamonds in the world. This combination of fancy yellow and pink diamonds is rarely found and we are proud to offer this ring at our Newport beach location. Rings like this can be found at our Newport Beach showroom located north of Laguna Beach and Corona Del Mar and west of Costa Mesa.